Digital Brand Strategy, Magento Web Development & WordPress Design. TDN Group are a very well established and highly respected industry market leader in the specialist industry of Paintless Dent Removal. 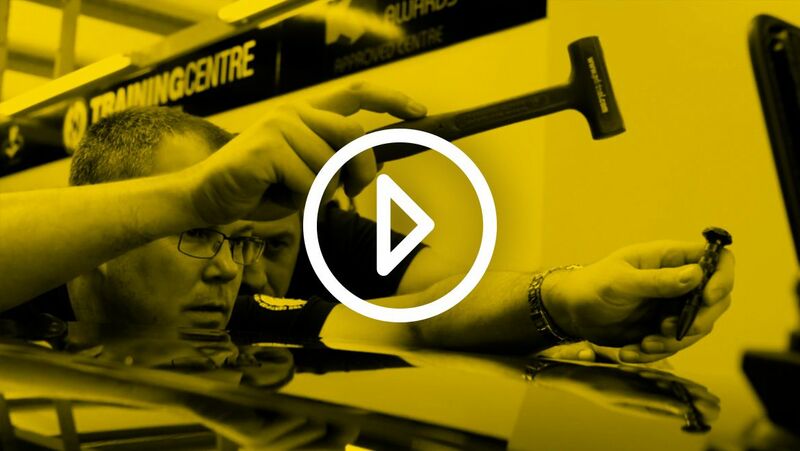 Based from their headquarters operation in Peterborough, Cambridgeshire, they are recognised by one of the world’s leading insurance companies, Allianz, as a preferred supplier for the mass repair of vehicles that may have been dented and damaged by hail. The system allows tens or hundreds of dents to be massaged out of a vehicle more cost effectively than writing a vehicle off. TDN Group did not initially exist as a group when Brave were first approached. We advised and consulted on a brand strategy which has given steer to the company, clearly defining specialist areas within the industry. 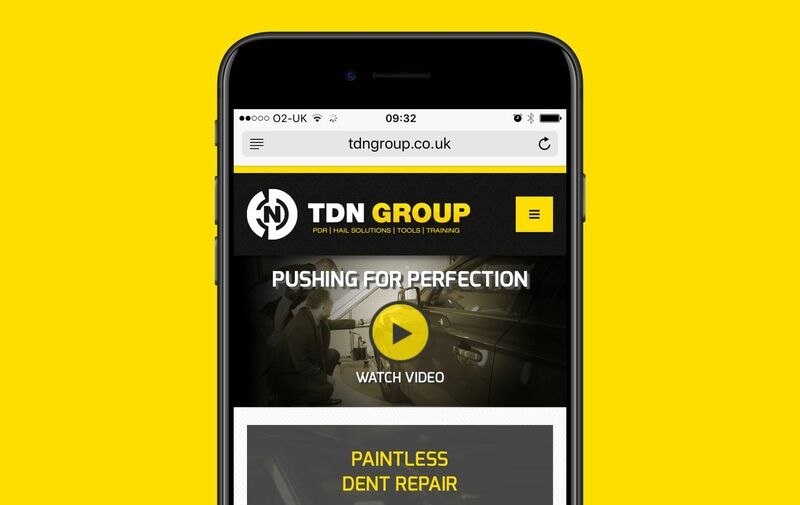 We now support and manage a number of online properties and subsidiary businesses for TDN Group, encompassing corporate Paintless Dent Removal, Training, Tools (e-commerce) and more recently a retail facing dent removal website which is targeted at mass market retail customers across the UK. We’ve been set a few challenges over the past few years by TDN. We’ve not only been asked to develop individual online brochure websites to promote the various aspects of the group, but we’ve also developed a Magento e-commerce website which sells PDR (Paintless Dent Removal) tools to technicians across the whole of Europe. We’ve supported TDN with an array of consultancy in every aspect. We have steered and advised them on their Creative, Digital and Marketing strategies and will continue to do so for all of their online brands. Initially, we started with www.tdntools.com. This is a Magento e-commerce website which supports some 350+ products. The website is mobile friendly, but having been built some years ago is not fully responsive by today’s standards. 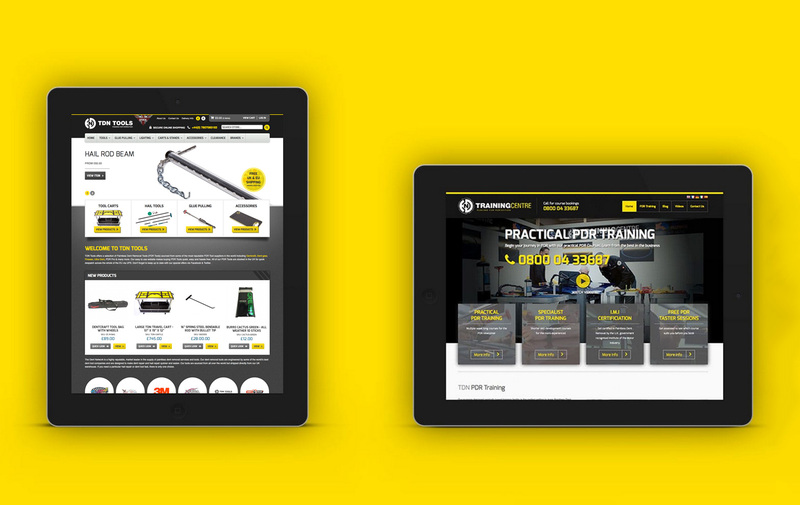 Even so, the website has been incredibly well received by the whole industry and is regularly used by technicians across Europe to order and replenish tools when they need to. We have also technically integrated the Magento checkout with VIES. VIES is provided by the EU and offers an EU look up system which checks the validity of VAT registered companies across the EU. This allows companies to pay or not pay VAT at the checkout. As well as VIES, we have also integrated Magento with TradeGecko. As well as providing a better way for processing orders, updating stock and a number of other functions, TradeGecko allows TDN to integrate with Xero for accounting purposes, allowing them to manage the business more effectively than if they depended entirely upon Magento for everything. 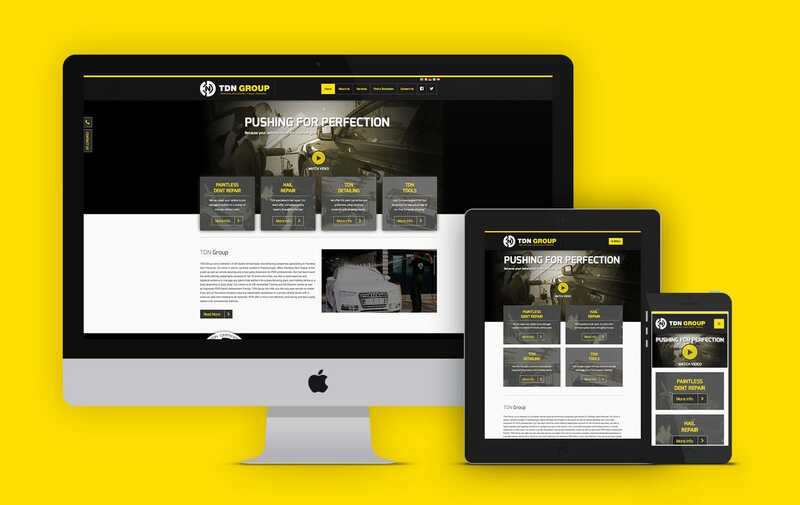 More recently, we’ve built a bespoke WordPress website for www.tdnpdrtraining.com. This allows technicians to browse and book in to accredited technical training courses, allowing them to be accredited to the high standards that TDN Group set out. We’ve also recently developed www.dentquote.co.uk which is a ground-breaking and highly bespoke WordPress website to provide real time online quotations for retail customers looking to repair dents at home or at work, without the comparative expense of getting a body shop to repair the dent. Using a significant amount of technical expertise, our development team at Brave have also made DentQuote seamlessly integrate with another 3rd party service to process all customer quotes and jobs. This is done using the 3rd party cloud service’s API. We have worked closely with the 3rd party to make the DentQuote integration work as smoothly as possible, so that users and admins can both benefit from a painless and intuitive experience.